For the time being TRC News will be updated only on Monday, Wednesday and Friday, this is due to domestic issues. The Rail Accident Investigation Branch (RAIB) has released its report into a pedestrian fatality following a collision with a tram in Piccadilly Gardens, Manchester, 5 June 2011. At 00.16 hrs on 5 June 2011, a Manchester Metrolink tram struck and fatally injured a pedestrian. The tram was approaching Piccadilly Gardens, from the direction of Market Street, at a speed of about 9 mph (15 km/h) when a pedestrian ran into its path. The pedestrian appeared to become aware of the tram and tried to stop before reaching the track, but fell directly in front of the tram. The RAIB investigation identified that the fatal accident occurred because: the pedestrian stumbled and fell directly in front of the approaching tram; and the pedestrian was running from a covered passage and did not observe and react to the approaching tram until it was too late to stop clear of it. Factors that exacerbated the consequences of the event were: the pedestrian’s stumbling position when the initial collision occurred; and the ground clearance and rake angle of the device that projects down from the underside of the tram and is designed to prevent pedestrians from being crushed under the wheels (known as the under-run protector). Recommendations: As a consequence of this accident, the RAIB has made two recommendations to UK tram operators in conjunction with UKTram (a body representing UK tram operators). These relate to: improvements in the collection of pedestrian injury data in order to better understand the role of the tram front end design in minimising injury; and research into the design of tram front ends and their potential for injuring pedestrians in collisions. Hundreds of thousands of commuters will benefit today from reduced congestion at Britain’s busiest railway station as the first stage of a £10m improvement project at Waterloo nears completion. From today, commuters passing between Waterloo and Waterloo East stations will be able to use four new escalators connected to a 220-metre balcony which runs almost the full width of the station. This new access route between the two busy stations, which are used by a combined 300,000 passengers a day, removes the previous bottleneck and forms part of a wider plan to provide more space for passengers at concourse level. The scheme is also creating 20,000 sq ft of new retail space at first floor level, accessed by the balcony. When complete, passengers will benefit from a wider choice of places to eat and shop. Ten new brands including Carluccio’s, Corney & Barrow and Thomas Pink will be opening in July, in time for the Olympic and Paralympic Games. The work at the station, which started in April 2011, has already seen the removal of a number of retail units from the main concourse, further helping to relieve congestion for people using the station. The balcony is part of Network Rail’s on-going programme of investment at stations to boost capacity, improve passenger flow and providing better customer information by installing a new announcing system. Waterloo station is a major transport hub for the UK connecting London to popular destinations such as Bournemouth, Poole, Southampton, Portsmouth, Reading and Windsor. A team of 150 specialist builders are working round the clock to complete the project on schedule. It’s the first step in the expansion of Waterloo to improve station capacity with future aspirations to integrate the former Eurostar platforms in order to utilise all existing space available at the station. The station – parts of which are grade two listed – opened in 1848 and this represents the first major investment at Waterloo in almost a century. Passengers are set to benefit from a further £15m of improvements to stations across England after the latest round of successful bids for rail industry funding were announced on 29 May 2012. 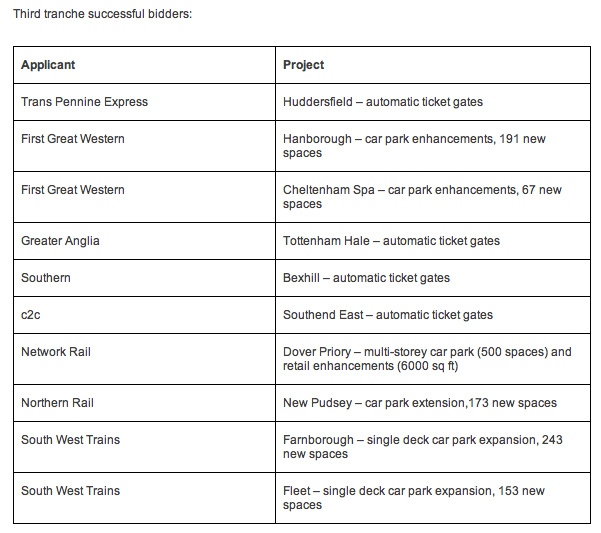 The schemes form the third and final wave of successful bids for a £100m station improvement fund, launched in 2011 by Network Rail, the Department for Transport and the Association of Train Operating Companies (ATOC). To be eligible, proposals must have a benefit to passengers and also reduce the overall public subsidy for rail by generating a financial return to the Department for Transport. Rail Minister Norman Baker said: "This is great news for passengers. If we are to encourage more people to travel by rail in the future then stations must be easier to get to and have better facilities. These projects will ensure that travelling on a train is a positive experience both during a journey and at the start and end of a trip so I am delighted to be able to announce this additional funding." Robin Gisby, managing director, network operations at Network Rail, said: "This is a fantastic example of the rail industry, local authorities and other organisations working together to improve the passenger experience without increasing the burden on the taxpayer. This third and final wave of successful bids means we have now allocated almost £100m towards projects which will improve passengers’ experience of travelling by rail and help us deliver a better value for money railway." Alec McTavish, director of policy at ATOC, said: "The whole industry is committed to working together more effectively to deliver a more efficient railway. This funding scheme is exactly the sort of vehicle that brings the benefits of closer working to the fore. The benefits to passengers of the scores of improvements being made to stations, depots and other facilities are clear, but equally important in this scheme are the benefits to taxpayers. The improvements made now will raise the value of rail franchises overall, which will generate more money for the Government and reduce the need for taxpayer subsidy in the future. We have been pleased and impressed at each stage of this programme with the innovative approaches from bidders in finding ways to make passengers’ and taxpayers’ money go further." The first successful bids were announced in August 2011, with funding totalling £21m allocated to 16 projects. The second wave in November 2011 saw 21 successful bids with total funding of £57m allocated. In addition to the 10 projects announced today, four further bids have had funding ring-fenced, pending clarification on certain aspects of the projects. Once funding for these bids has been finalised a decision will be taken by the panel on how to proceed with the fund’s remaining monies. Throughout the bidding process there has been no cap on the maximum value of proposals and bids have been welcomed from third party organisations as well as the rail industry. The proposals were assessed by a panel including the Department for Transport, ATOC and Network Rail. The £100m station commercial project facility is an initiative developed by the Department for Transport in partnership with Network Rail, ATOC and the Office for Rail Regulation. It is available for capital expenditure projects and is administered and programme managed by Network Rail. Proposals must provide a financial return over and above project costs and be complete by 31st March 2014. Successful proposals will benefit from a Network Rail sponsor to help secure the necessary consents and support effective delivery. The £100m station commercial projects facility is an additional funding source separate from the National Stations Improvement Programme and the control period 4 performance fund. Slough MP Fiona Mactaggart is demanding improved access to Heathrow, in support of a regional campaign backed by the rail industry. Currently there is no direct rail link from Reading or Slough to Heathrow. Passengers to Heathrow from Reading, the West and Wales need to either change at Reading onto a RailAir coach link or continue past Heathrow into London. Provision of the route could reduce journey times dramatically. Reading to Terminal 5 would take 28 minutes, a saving of 18 minutes, while Slough to Heathrow would be nine minutes. Two platforms at Heathrow’s Terminal 5 already exist and could be used for a connection to the Great Western Mainline. Mark Hopwood, First Great Western Managing Director, said: It will only take around four to five miles of new railway across land which is currently not really used for anything. We think getting a link into Heathrow would not be as difficult as other railway projects being thought about. This is not going to happen overnight, but when I speak to the business communities of Slough, Reading, Swindon, Bristol and South Wales, they all seem very enthusiastic. Northern Rail has announced three appointments to its team of directors. Alan Chaplin joins the business as Chief Operating Officer with Jonathan Stewart appointed as Commercial Director and Richard Allan moving to Area Director for Yorkshire and Humberside, Tyne Tees and Wear. An experienced transport professional, Alan brings with him a wealth of knowledge in railway operations and safety, gathered from around the world. Having held a number of senior posts with global transport organisations such as Veolia Transdev and National Express Group, Alan’s industry wide awareness makes him a vital addition to the Northern executive team. Richard has further cemented his place at Northern by being promoted from Assistant Area Director to Area Director. In addition to responsibility for the operation of train services and stations in Yorkshire and Humberside, Tyne Tees and Wear, he will lead on relationships with Northern’s key stakeholders including West Yorkshire PTE, South Yorkshire PTE, Tyne & Wear PTE and local transport authorities. Ian Bevan, Managing Director, Northern Rail said: “We’re thrilled to announce these recent additions to the Northern team. Alan, Jonathan and Richard are extremely valuable to us and bring with them a broad range of experience, which will be key to us as we drive the business forward over the next two years. Passengers using Darwen station will see real improvements this month as the £400,000 refurbishment scheme is now complete. Work has included improving the access to and shelters on both platforms as well as station-wide Customer Information Screens and CCTV. The platforms have also been resurfaced with the addition of new signage, information boards and fencing. The project has been funded by the Department for Transport’s National Station Improvement Programme, delivered in partnership by Northern Rail, Network Rail and Blackburn with Darwen Borough Council. Areas around the station have also been landscaped to provide customers with a more appealing entrance. Councillor Dave Harling, Executive Member for Regeneration, said: "An improved link between Clitheroe and Manchester is one of the Council's priorities. Darwen Railway Station was in need to modernisation and there has been considerable growth in the number of passengers using the station in recent years. In order to encourage people to use public transport, we need to make it more attractive for travellers so we have worked closed with Northern Rail to ensure the work is carried out, with minimum disruption to passengers." Network Rail commercial schemes sponsor Paul Sumner said: "This project represents a major investment that will transform the station by giving passengers an enhanced level of facilities with new signs, information screens, a public address system and shelters - all of which will be covered by CCTV to provide them with a more secure environment." Jake Berry MP for Rossendale and Darwen officially opened the new refurbishments on Monday 28 May 2012. A Bombardier Flexity tram will be tested by the City of Bratislava, the local transport authority Dopravny podnik Bratislava (DPB) and Bombardier Transportation from 30 May to 20 June 2012. Passengers in Slovakia’s capital city will have the opportunity to experience the advantages of a modern low-floor tram for the first time, as only high-floor vehicles currently operate in Bratislava. The air conditioned 100 per cent low-floor FLEXITY tram is one of a series of vehicles currently being built at Bombardier’s Centre of Excellence for Trams and Light Rail Vehicles in Vienna, Austria, for the Spanish regional transport authority FGV for the city of Alicante. The unique combination of 100 per cent low-floor technology with conventional wheel-set bogies guarantees a smooth ride. The tram is particularly energy efficient as it is recuperation-enabled and feeds braking energy back into the network. Low-floor entrances ensure rapid passenger flow and barrier-free access for mobility impaired passengers as well those travelling with prams or heavy luggage. Its light and friendly interior includes large windows for panoramic views. The vehicle arrived in Bratislava on 25 April and has been undergoing extensive testing. Even for the test operation the tram needs to undergo the homologation process to guarantee passenger safety. The ecologically beneficial Flexity tram is 32.4 m long, 2.4 m wide and can accommodate up to 200 passengers (50 seated including six tip-up seats, 150 standing). To date, more than 1,000 Flexity 100 per cent low-floor trams have been ordered or are already in successful revenue service in cities around the globe. Approximately one third of these projects operate on 1,000 mm gauge networks like those in Bratislava. 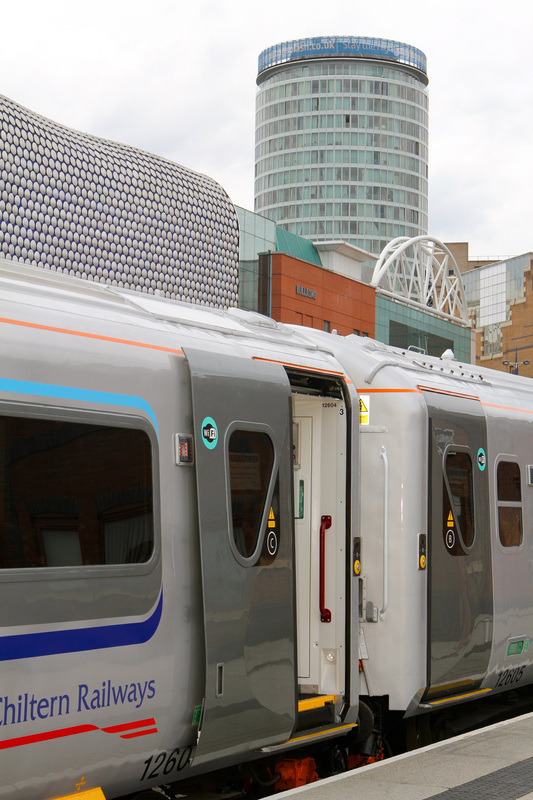 The first of Chiltern Railways new style silver trains featuring power operated sliding plug doors took the track in passenger service on 28 May 2012. To meet the needs of the modern day passenger Chiltern have been revolutionising the MK III coach, built in the early 1970s. This includes the installation of new power operated doors to ensure the company gets all the benefits of the MKIII coach design but with the door performance benefits of their 168/165/172 DMU stock. Chiltern have made the vestibule area larger to improve access for those with luggage whilst also helping to speed up joining and leaving the train. In addition, the operator has also improved lighting to make the train feel more spacious and installed controlled emission toilets. The door system is fully compliant to modern standards, providing improvements to passenger safety and access for disabled passengers. Work continues to take place to deliver three more trains in 2012. The company has said it is currently considering further opportunities for future fleet growth. The Minister for Cities, Decentralisation and Planning and local MP for Tunbridge Wells, the Rt Hon. Greg Clark visited Paddock Wood station on Friday 25 May 2012 to inspect the start of works on a £500,000 upgrade to facilities. He was joined on site by representatives from Tunbridge Wells Borough Council, Network Rail, the Tonbridge Line Commuters and Southeastern. The Paddock Wood Community Partnership, known locally as Succeed, has contributed over £7,000 to the new bike park that will be installed at the station. The stand will accommodate 80 bicycles. The works are expected to be completed towards the end of the year. Greater Anglia has completed a programme at Audley End station to re-brand the station signs, which have now been supplemented with the additional wording: ‘for Saffron Walden’ to help inform visitors that Audley End is the station for the historic town of Saffron Walden. The Rt. Hon. Sir Alan Haselhurst MP for Saffron Walden will officially unveil the re-branded signs at Audley End station on Friday 25 May at 11.30. Saffron Walden is situated just 2 miles from Audley End station and many visitors alight at the station on their way to the town. The station signs also feature the floral Saffron Walden symbol. To further establish the connection between Audley End station and Saffron Walden, Greater Anglia is progressing plans to develop a dedicated bus link from the station to the town, connecting with key train services. Important plans which cement York’s future as a railway city have been given the go ahead by the city council. Network Rail will develop a new rail operating centre (ROC) and workforce development centre on land close to York station. Phil Verster, Route Managing Director for Network Rail’s London North Eastern (LNE) route, said: “This decision is great news for York and the railway. These operating and training facilities will allow us to deliver a modern, efficient railway while at the same time maintaining York’s position as a proud rail city. The centres will retain jobs in the city and, over time, see all of our rail operations for the LNE route consolidated on this site. The operating centre is the largest of just 14 proposed centres across Britain and will bring the expertise and technology we need to operate the route into a single location. Meanwhile the investment in modern training facilities will make sure our rail employees remain among the best in the world. As well as bringing future employment benefits which are vital for economic growth and prosperity in York we hope that the location of these new facilities on the edge of the York Central development site could act as a catalyst for further investment in the area." The land identified for development is known as the engineer’s triangle and lies between York station and Holgate bridge. The development will require the relocation of the current turning facility which is used by some charters. The final location for the new facility has yet to be decided. The engineers turning triangle will not be removed until it is replaced by a new facility in York. Network Rail plans to consolidate all signalling and control activity into 14 modern rail operating centres over the next 15-30 years. Six new ROCs would be built to supplement the eight locations already identified. They will have the latest technology and tools to better manage and control the network. Europorte, the rail freight subsidiary of the Eurotunnel Group, and Alstom have signed a partnership agreement covering the maintenance of 17 Alstom manufactured Prima locomotives now operated by Europorte. Within this framework, the two partners will improve the management and availability of the Europorte locomotive fleet. To do this, they will analyse existing processes; optimise maintenance cycles, interventions on the locomotives and the equipment of the maintenance sites. They will work to reduce the transport to depot time and the locomotive down time to generate significant productivity improvements. With the Technical Specifications for Interoperability (TSI) now applicable to the Channel Tunnel, the two partners are planning to organise homologation tests for the new generation of Alstom Prima II locomotives in the autumn of 2012. Alstom and DB Mobility Network Logistics AG have signed a contract for the takeover of the 49% stake held by DB Mobility Network Logistics AG in the “Alstom Lokomotiven Service GmbH” joint venture in Stendal (Germany). Alstom Deutschland GmbH, who was holding a 51% stake since the creation of the JV in 2002, now becomes the sole shareholder. 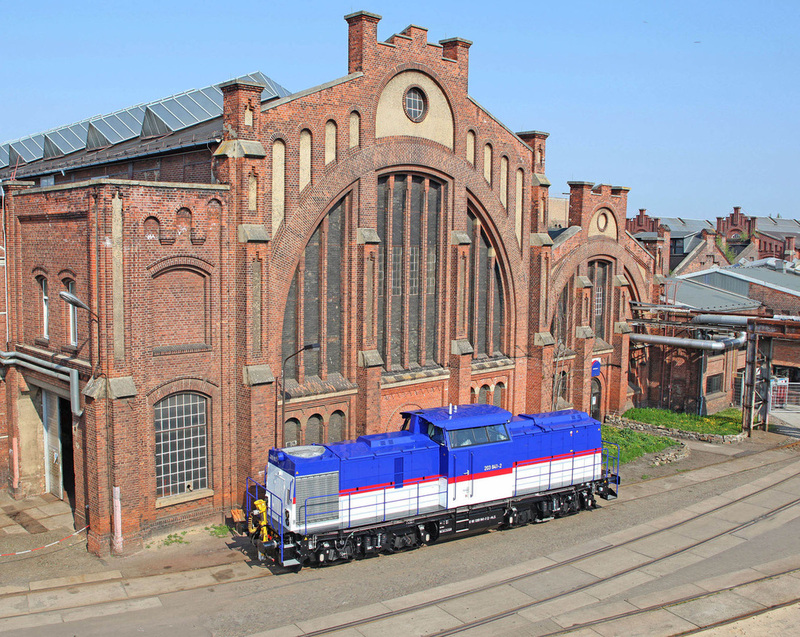 Alstom Lokomotiven Service GmbH’s activity is based in Stendal, which counts more than 200 employees. In close cooperation with the Braunschweig site, the Stendal site works on locomotive renovation and shunting locomotives, trams, regional trains, bogies and other maintenance components from all manufacturers. Over the last 11 years, it has supplied more than 300 locomotives of V100 class to private operators. Alstom aims to develop in Stendal new environmentally friendly three-axle shunting locomotives with four different types of engine, including hybrid technology. After five years of development work and successful testing of the first prototypes, this innovative vehicle is designed for the industrial market and harbour railway systems. In addition to improved operational performance and flexibility, the locomotive will use up to 50% less fuel than modern vehicles (when comparing high performance hybrid shunting locos (700 kW) with similar performance hybrid diesel locos). Network Rail has agreed an anticipated final cost with Crossrail Limited to deliver significant infrastructure enhancements on the rail network to enable Crossrail services to operate to Maidenhead, Heathrow, Abbey Wood and Shenfield. The work to be undertaken by Network Rail for Crossrail represents one of the largest commecrial contracts in Network Rail's ten-year history, and marks a further significant milestone in the delivery of the Crossrail project. Network Rail will deliver the works within the £2.3bn funding available. Network Rail is responsible for the elements of the Crossrail project which are above ground and contained within the existing network. This includes modifications at 28 surface stations, provision of power for the new rolling stock including overhead lines, and the building of a new, larger flyover at Stockley in Hillingdon to enable Crossrail services to operate to Heathrow. Simon Kirby, managing director, Network Rail Infrastructure Projects, said: "Network Rail's combined roles of operating and upgrading the existing railway mean that we are uniquely placed to deliver the above ground elements of this world-class project. We've spent two years working with our customer, Crossrail Limited, to develop the exact scope of the work and are confident that we have the right plan, expertise and resources. We and our supply partners are now completely focused on efficient delivery for passengers and delighting our customer." Matthew White, Crossrail's surface director, said: "To enable Crossrail services to operate, Network Rail will be undertaking a multi-billion upgrade of the rail network with major improvements planned for the Great Eastern and Great Western main lines including better stations, electrification, new and improved signalling and the integration of the new Crossrail tunnels with the existing railway." Crossrail trains will travel from Maidenhead and Heathrow, through new rail tunnels below central London, to Shenfield and Abbey Wood. The service will offer the ability to travel directly to the West End, the City and Canary Wharf without changing, reducing journey times and inconvenience. Strathspey Railway has become the latest transport company to offer cut-price tickets as part of a ScotRail travel scheme. Customers using ScotRail’s Freedom of Scotland Travelpass or Highland Rover tickets – which cover trains, ferries and a selection of bus and coach services – can now also enjoy a ten per cent discount on Strathspey Railway steam trains. TriMet, the mass transit provider for the City of Portland, Oregon (USA), has awarded Siemens another order worth USD 73 million (around EUR 56 million) for 18 S70 light rail cars. The vehicles will be manufactured entirely at Siemens' rolling stock production plant in Sacramento, California. The new light rail cars will be shipped out as of August 2014. The City of Portland in the northwest of the United States has ordered another 18 S70 light rail cars. As of summer 2014, these vehicles will bring the total number of light rail cars manufactured for TriMet by Siemens up to 119. The new cars will start service in the fall of 2015. "We've been supplying light rail cars to TriMet since 1995. It all began with 79 SD 660 cars and since 2009 it has been our S70, which, besides Portland, is providing reliable service in North America in San Diego, Houston, Charlotte and Salt Lake City," explained Hans-Jörg Grundmann, CEO Siemens Rail Systems Division. The new order has been awarded as part of a development project to expand the city's transport network to cope with the expected population growth in the Portland area. Experts are forecasting that an additional million people will be living along the new route by 2030. To counter the looming traffic congestion, Portland is investing in a new 7.3-mile stretch of track and ten new stations. This new route will connect Portland State University in downtown Portland with the southern neighborhoods and the suburb of Milwaukie. Around 22,000 homes will be within walking distance of the new stations, and the line will transport up to 25,000 passengers every workday. This means road traffic will be reduced by over 9,100 vehicles per day, with an accumulated daily saving of almost 100,000 kilometers. The S70 has been developed especially for the American market and can be deployed in both light rail and regional rail systems for linking regions to cities. It has a maximum operating speed of 66 mph. Thanks to its low-floor design, passengers can enter the light rail cars at street level, allowing people to get on and off quickly and easily, including those with limited mobility. The light rail cars will be produced at Siemens Rail Systems' plant in Sacramento, California, where a two-megawatt photovoltaic plant will supply around 80 per cent of the electricity the production facility needs. This will save some 1,470 metric tons of carbon dioxide every year. At around 18.26 on 26 May 2011, a First Capital Connect (FCC) service from Brighton to Bedford lost traction power and became stranded after leaving St. Pancras International station. Almost three hours elapsed before the train, with its passengers still on board, was assisted into Kentish Town station. During the period that the train was stranded, conditions for passengers became increasingly uncomfortable because the train was crowded and the air-conditioning and toilets stopped working at soon as the train stopped. After about 40 minutes, the public address system on the train ceased to function and the driver was no longer able to communicate with passengers – electrical power systems had not been configured to permit a longer duration of battery supply. Some passengers opened doors to improve ventilation and passenger alarms were repeatedly activated. An assisting train eventually arrived but the movement of the failed train into Kentish Town station was delayed by further operation of alarms and the opening of doors by passengers frustrated at the continuing delay. While preparations were being made for assisting the failed train into Kentish Town station, around 30 to 40 passengers alighted and were walking between the train and the tunnel wall when the driver, who was unaware of their presence, moved the train forward for a short distance to check that the assisting train was correctly coupled to the failed train. This unexpected movement caused some alarm to the passengers who had alighted as they thought that the train was about to re-start. Once the passengers were re-boarded, the train moved into Kentish Town station. Throughout this journey at least two doors on the train remained open. limited or no information was provided to the passengers on the train during the incident; the train operator had not briefed staff effectively on its policy for handling incidents involving stranded trains; and lessons had not been learnt from a number of similar incidents that had occurred on this section of line between 2009 and 2011. During the investigation, the RAIB briefed FCC on the emerging findings. FCC has taken a number of actions in relation to their handling of stranded train incidents, including developing alternative strategies for responding, improving facilities on-board, deploying staff to assist passengers and briefing and training of staff on company policy. As a consequence of this incident, the RAIB has made three recommendations. These relate to: FCC’s management processes for emergency preparedness; Network Rail and the train operators jointly developing protocols for dealing with stranded trains; and Network Rail and the train operators improving their processes for tracking and sharing safety lessons identified in reviews of incidents. Railway workers, some of whom have given their lives in the service of the industry over the last 150 years have got their own memorial, topped off by a Class 8F steam engine. The memorial is in celebration of their achievements from the 19th century through to the present day and was unveiled on 22 May 2012 in front of nearly 1,000 onlookers. 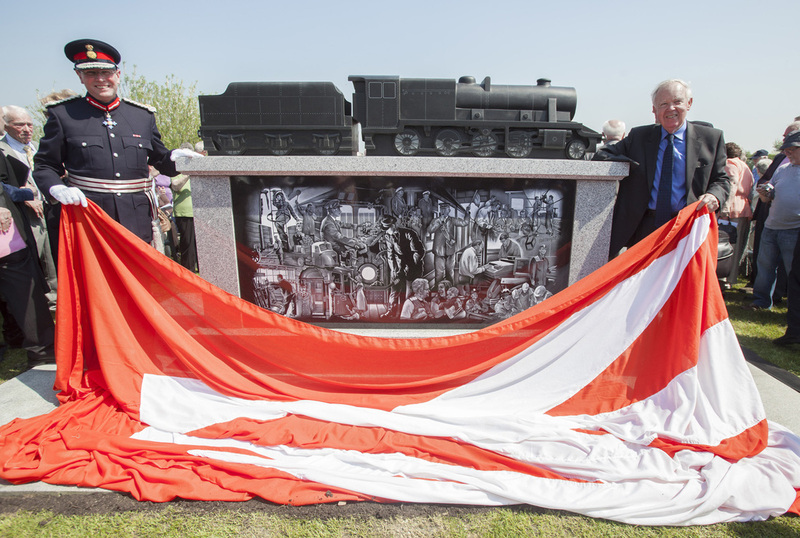 The memorial, with the locomotive carved in black granite, was dedicated at the National Arboretum in Alrewas, Staffordshire in a service conducted by Rev James Lindsay of the Railway Mission. Sir Bob Reid, former chairman of British Rail, accompanied by Ian Dudson, Lord-Lieutenant of Staffordshire, unveiled the memorial. The locomotive rests on top of a plinth measuring approximately 2.7 metres wide by 2.3 metres high. As well as an inscription on the face of the plinth, the reverse features a montage of images representing the rail industry over the years. It includes men and women involved in everything from present day maintenance and customer service back to the days when British Rail owned ships and hotels, and even further back to when wooden carriages were washed by hand. In addition to the montage, the plinth carries the coats of arms of the Great Western Railway Company, London North Eastern Railway, London, Midland & Scottish and the Southern Railway Company, the Lion Wheel of the British Transport Commission and the double arrow national railway symbol. The memorial incorporates two stone seats and is situated just off the Arboretum’s Millennium Way, in sight of the Birmingham to Derby railway line. Close to the River Thame, it is an ideal location for peaceful contemplation. The BTPF, which has approximately 17,000 members, was at the forefront of fund raising for the memorial and raised approximately £50,000 from individuals and industry partners. Dalmarnock station will be closed from Sunday 3 June, until Sunday 25 November 2012, as work continues to create a new £11m facility for passengers. Network Rail is building a new station on Dalmarnock Road to replace the existing facility on Swanston Street and the temporary closure of the station is needed to ensure these works can be delivered in a safe and secure way. The station will reopen to passengers on Monday, 26 November, and the redevelopment project will be completed by late 2013. The station is being redeveloped in time for the Glasgow 2014 Commonwealth Games, when it will be a key transport hub for those travelling to and from many of the Games’ events. ScotRail is advising its customers to use either Bridgeton station (half-a-mile to the north-west) of Dalmarnock or Rutherglen station (one mile to the south-east). Season tickets for Dalmarnock can be used at either of these alternative stations. 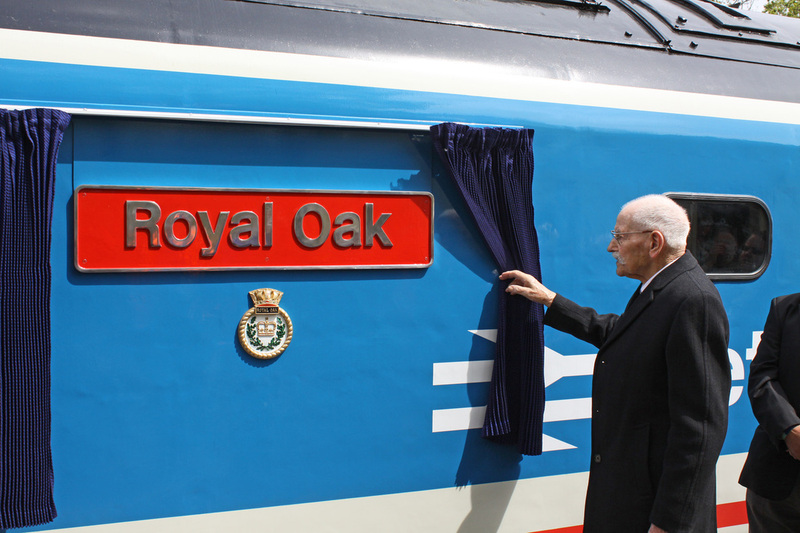 As Her Majesty the Queen makes final preparations for her Jubilee celebrations, East Coast is celebrating an anniversary of its own – the first birthday of its timetable and First Class complimentary food and drink service, which launched on 22 May 2011. To mark the occasion and to get its passengers in the mood, East Coast is revamping its First Class menu for summer following a patriotic theme, in-keeping with the Queen’s jubilee, including old favourites such as its Great British Breakfast, with new arrivals such as jacket potatoes and coronation chicken, posh pork pies with piccalilli, and Eton mess – all fit for a right royal celebration. The introduction of the newly revamped menu on Monday 28 May 2012 follows closely behind the one year anniversary of the introduction of East Coast’s new timetable and complimentary food and drinks in First Class. East Coast launched the biggest timetable change on the route in over 20 years on 22 May 2011. This saw the introduction of 19 new weekday and 22 new weekend services, including its direct Edinburgh and Newcastle to London ‘Flying Scotsman’ service, a new daily direct service between London and Lincoln, and a new seven days-a-week service between London and Harrogate. Passengers wishing to sample the newly revamped menu will be able to enjoy dishes from Monday 28 May where they will be able to try a taste of summer with the new dishes. Europorte Channel has developed a new, fast and convenient way of transporting goods from Europe to destinations across Britain – lorry trailers by train. In a significant development for cross channel rail freight – and a first for Britain – goods in unaccompanied lorry trailers can now be moved by rail from Europe into the country through the Channel Tunnel. Europorte Channel’s new service enables complete trailers – tyres, flatbed and container load, but not the driving cab or driver – to be transported swiftly across Europe by loco-hauled train. It is fast and cost efficient with a very low carbon footprint. A successful test run was carried out by Europorte Channel for its customer, Ewals Intermodal and Ewals Cargo Care, on 21-22 May 2012 between Antwerp in Belgium to Barking in the UK. Departing Antwerp on the afternoon of 21 May and arriving in East London in the early hours of 22 May, the first trailers delivering to Vauxhall were moved by Europorte Channel using specially built wagons and High Speed 1 for gauge benefits. Speaking at the ceremony to demonstrate the operation, Kevin Walker, Director Europorte Channel said: "We are pleased to see the arrival of this new product, which is as a result of cooperating between Ewals Intermodal, AAE wagon company, our colleagues in Europorte and our 1st customer Ewals Cargo Care. We plan to deliver regular services to London, bringing benefits to the roads of southern England to and from the Channel." Bram Ewals of Ewals Cargo Care, said: "We are pleased to be the first company to use this exciting new service and look forward to working with Ewals Intermodal and Europorte Channel to increase the service to London." This successful test proves that consolidating rolling motorways is essential to sustain freight traffic. Motorways are increasingly congested and saturated – rolling motorways are key to providing a reliable and environmentally-friendly freight transport service. Rolling motorways help hauliers that are often restricted by speed restrictions and restrictions on lorry drivers’ time behind the wheel. With operations and partners across the continent, Europorte Channel offers quick trans-European journey times with, for example, next day services from as far away as Poland. Once in the UK the Europorte services run on HS1, the first British high speed line, to railheads near London, where the trailers are taken off the train, connected to driving cabs and driven away. In the longer term Europorte Channel plans to create a network of rail routes cleared for P400 lorry trailers (standard & Mega road trailers which can be lifted on board a train) on rail that stretches right across Europe and into Britain through the Tunnel. The BTP and TfL have worked in partnership to enable 20 BTP officers to receive this advanced medical care training. These officers will be patrolling key locations around the network as normal and will also have access to two fast response vehicles. They will be able to attend incidents quickly and efficiently assess a situation and administer first aid before the London Ambulance Service or paramedics arrive. The quick response of medically trained police officers will also help cut delays to Tube services when a person is taken ill on a train. The specially trained officers will act with a view to not only assisting the person at the scene but also any persons trapped on trains in tunnels or at other locations, by taking additional passenger safety and security information into account such as stalled trains. The Mayor and Transport for London are working hard to reduce Tube delays through the Tube Reliability Programme. Passenger incidents make up a third of all delays on the Tube and people becoming ill on the train make up a large proportion of these. The officers have undertaken an intensive four week course in ‘Pre Hospital Care‘, which was paid for by TfL. They will be working at various locations as part of a year long trial which begins ahead of the summer when millions of additional visitors will be using public transport during the London 2012 Olympic Games. The team will use two fast response vehicles equipped with a small amount of medical equipment including Defibrillators and Oxygen to assist persons at the scene. This equipment is the same as used by the Ambulance Service and therefore ensures continuity of care for the person when LAS arrive on scene. Colas Rail has announced that it has acquired Pullman Rail Ltd, the Cardiff based engineering business which is at the forefront of rail vehicle maintenance in the UK. Pullman Rail enjoys a long-standing reputation for the quality of its engineering, its timely delivery and competitive prices. This acquisition significantly advances Colas Rail’s current capability to maintain its growing rail fleet. In addition, it enables Colas Rail to further expand into the rail vehicle maintenance market for train owners and train operators. Pullman Rail’s Canton depot, located close to Cardiff Central station is a prime asset serving the entire UK rail network. It augments Colas Rail’s existing infrastructure providing another key operational hub to develop its already significant presence in Wales. Colas Rail plans to further grow the Pullman Rail business, building on the many well-established customer relationships as well as developing new ones. The business itself will continue to trade as Pullman Rail and will carry on completing current and planned improvements to its facilities. This will enable further development in the scope of services for passenger, freight and plant rolling stock. These developments will increase the capacity and reduce throughput time for bogie, wheel set, rail vehicle overhaul, refurbishments and upgrades. Charles-Albert Giral, CEO, Colas Rail Europe commented: “With this acquisition, we are further strengthening our already extensive rail expertise and deepening our ability to offer a one-stop-shop to our clients. We are also confirming our commitment to investment in the UK and our particular focus on Wales”. Work to rebuild Blackfriars station comes a step closer to completion between 18-19 May 2012 as the station’s final two new platforms open for use. First Capital Connect customer service director Keith Jipps said: "The continued improvements at Blackfriars station are great news for our customers. We'll have 40% more trains serving the station once we reopen at night and weekends. This and the new south station entrance, suddenly makes Blackfriars a great destination for art lovers and theatregoers." First Minister Alex Salmond joined workers from Network Rail, principal contractor Balfour Beatty, and members of the local communities in North and South Queensferry on 18 My 2012 to celebrate the recent completion of a 10 year restoration project and remember those who lost their lives building the Forth Bridge. Twin memorials, unveiled in prominent public locations in North and South Queensferry, pay tribute to the thousands of ‘Briggers’ who contributed to building, maintaining and restoring the structure in the 129 years since construction began. First Minister Alex Salmond said: "The Forth Bridge is perhaps the single most inspirational structure ever to have been built in Scotland. As a pioneering, supremely practical but also very beautiful feat of engineering it has few equals anywhere in the world and the completion of its ten-year restoration project is a terrific achievement. All of this has been made possible thanks to the Briggers past and present, who have shown incredible bravery, industry and skill in the 129 years since the bridge was built. Above all, we honour the sacrifice of those who lost their lives during the bridge's construction. They helped make possible what remains perhaps Scotland's greatest-ever engineering achievement and these memorials are worthy tributes to their skill and courage." The monuments were designed by local artist Gordon Muir and were be cast by Powderhall Bronze Ltd, Fine Art Founders, in Leith. E.ON has announced a three-year deal to supply the energy behind Nottingham’s tram network. E.ON, one of Nottinghamshire's largest employers, has been selected by the Tramlink Nottingham consortium to supply power requirements across all of its business premises as well as the 14.5km public transport network that currently runs from Hucknall and Phoenix Park to the city centre. In December Tramlink was awarded the 23-year concession to operate the existing network and build two further lines running to Chilwell and Clifton. Currently the power demand of the network is 7 million kilowatt-hours – the energy equivalent of more than 2,100 average UK homes* – each year. Tramlink Nottingham Chairman, Roger Harrison, said: "We are looking forward to working alongside E.ON as we deliver a world-class tram service. Obviously, a reliable power supply is absolutely essential to us and we believe we have selected strong partners. We have made a major commitment to work with local suppliers wherever possible to ensure the benefits to the local economy are maximised." E.ON is also working with Tramlink consortium member Taylor Woodrow Alstom Joint Venture to provide electricity grid connections for the construction site at Toton, the base for the ongoing construction of the two additional tram lines. Other satellite sites along the tram route are also being looked at for grid connections. * Based on an Ofgem average electricity consumption of 3,300 kWh per annum. The trams run on 750 volts DC. Tickets, priced at £5.50, are available in advance from the East Anglian Railway Museum, or on the door. Refreshments are also available on the day, with an option of brunch (11am - 2pm) or high tea (4pm - 7pm) being offered, booking is essential and can be arranged via email: info@platform2catering.co.uk. Visitors, who travel to Chappel station for this special event by train, will also have the chance to enter a competition to win a first class family train ticket to London, courtesy of Greater Anglia. Transport Minister Norman gave the green light to a £58m pilot scheme on 17 May 2012 to run revolutionary Tram Trains on both rail and tram networks, making them ideal for the eight mile non-stop journeys of no more than 25 minutes between, suburb and city centres from Sheffield to Rotherham. As well as providing a boost to the regional economy thanks to improved connections across the region, the project is also expected to create 35 new jobs locally as well. As part of the major works being undertaken to make the project a reality includes the electrification of a stretch of track between Sheffield and Rotherham and the construction of 400 metre line linking the tramway to the train tracks. The Tram Train pilot is a partnership between the Department for Transport and Network Rail, Northern Rail Ltd, South Yorkshire Passenger Transport Executive (SYPTE) and Stagecoach Supertram. SYPTE will lead on delivery of the pilot. Seven vehicles are being bought for Tram Train and the additional Sheffield Supertram capacity announced in 2011. The total project is estimated to cost £58 million. A procurement competition led by Northern in 2009-10 identified Vossloh as the lead bidder for the supply of the Tram Train vehicles. Because Northern’s franchise ends before the two year experimental period, the contract for the vehicles will be let by South Yorkshire PTE and the vehicles are expected to be operated by Stagecoach Supertram. Tram Train will commence in 2015 and the pilot will run for two years with a view to permanent operation. Tickets will be fully integrated with Supertram. The core objectives of the Tram Train pilot are to: Understand the changes to industry costs of operating a lighter weight vehicle with track brakes on the national rail network; Determine changes to technical standards required both to allow inter-running of lightweight tram vehicles with heavy rail passenger and freight traffic and to gain the maximum cost benefit from Tram Train operation; Gauge passenger perception and acceptability of Tram Train; Determine the practical and operational issues of extending Tram Trains from the national rail network to on-street running; and Understand the technical and operational challenges involved in this project so that the concept can potentially be rolled out elsewhere. A Tram Train vehicle is based on a tram that has been enhanced to make it suitable for operation on the main line as a train as well as street running. Typically a tram train will have: Higher vehicle crashworthiness to allow for the higher average speed operations of it and other trains and to resist slow speed collisions with heavier trains; Enhancements to the signalling system to minimise the risk of a collision between trains and Tram Trains. This involves installing train protection and warning system (TPWS) at all signals, whereas TPWS is currently installed at junctions and sites with high levels of signal passed at danger (SPAD) incidents; Road Traffic Act compliant head lights and direction indicators for on-street operation and to meet rail main line lighting requirements for visibility; Additional main line signalling and communications equipment such as TPWS and the Global System for Mobile Communication – Railway (GSM-R); More seating than a tram for longer distance journeys; A wheel profile suitable for both tramway and standard main line track. ScotRail has announced it will roll out 29 touch-screen machines at stations across Scotland in a near-£500,000 project to speed up ticket-buying. The card-only vending machines – being phased in this month, starting on 17 May 2012 – will allow faster transactions and make it easier for customers to purchase tickets before boarding trains at 16 staffed and 13 unstaffed stations. And it is the first time that ScotRail has had any form of ticket outlet at 11 of the stations – including Lochwinnoch, Kilmaurs, Carntyne and Dumbarton East. The 11 stations that previously had no ScotRail ticket outlets are Bellgrove, Carntyne, Coatdyke, Dalry, Dumbarton East, Dunlop, Hillfoot, Kilmaurs, Lochwinnoch, Pollokshaws West, and Thornliebank. Other stations receiving the machines are Barassie, Bellshill, Burnside, Carluke, Croy, East Kilbride, Giffnock, Hairmyres, Inverness, King’s Park, Largs, Partick, Pollokshields East, Prestwick Town, Rutherglen, Shettleston, Troon, and Whitecraigs. The TicketXpress Lite machines, with 15in colour touch screens, enable fast, safe transactions using major credit cards, including Visa, MasterCard and American Express. The total £485,000 spend includes installation, project management, licensing, power and data supply costs. Cash can be used to buy tickets at staffed stations and on trains when departing from unstaffed stations. Thousands of passengers throughout West Yorkshire will be looking to the future as a £600,000 investment in new screens and new integrated systems is unveiled. Thanks to a partnership between Northern Rail and Metro, 18 stations across West Yorkshire have benefited from the installations, offering passengers up-to-the-minute train running information, as and when they need it. Richard Allan, Area Director for Northern Rail, comments: “We hope today’s launch demonstrates our commitment to keeping communication channels open with passengers at our smaller stations. We are continuing to work with Metro to secure funding for other locations across the region so we can bring regular information to even more of our customers in West Yorkshire. Our experience is that passengers value real-time travel information," said Metro Chairman Cllr James Lewis. "The new Customer Information Screens will keep rail passengers up-to-date with information about when their next train will arrive and station calling points along the route." Stations that have benefitted include; Bramley, Castleford, Cross Gates, East Garforth, Fitzwilliam, Hebden Bridge, Horsforth, Knottingley, Micklefield, Moorthorpe, Mytholmroyd, Normanton, Outwood, Pontefract Monkhill, Sandal & Agbrigg, Sowerby Bridge, Todmorden and Woodlesford. Longer trains, later trains and new services are some of the improvements that 78,000 daily Thameslink route passengers will enjoy when First Capital Connect (FCC) begins running rail services through the heart of London again at nights and at weekends from 19 May 2012. The restoration of the link across the Thames at night and weekends after 3½ years of engineering work for the Thameslink Programme upgrade will also make life much easier for travellers crossing London to Gatwick or Luton airports. Travellers will be able to alight at central London stations such as Blackfriars at the weekend, which had previously been closed and where a new south bank station entrance gives close access to the Globe Theatre, Tate Modern and the South Bank Centre. Thanks to the changes, First Capital Connect will be running longer weekend trains from 19 May: eight carriage trains nearly all day between Bedford and Brighton on Saturdays as well as Sundays. At St Albans on Saturdays there will be trains to and from London four times an hour instead of three. The end of engineering work will also allow FCC to extend the 23.42 and 00.12 Saturday night London Bridge - Three Bridges trains to Brighton via Haywards Heath, Burgess Hill and Hassocks, giving partygoers extra time in London in answer to the calls of rail users. There will also be a better weekend service for people on the Wimbledon/Sutton loop. On Saturdays from 26 May, extra evening trains will run on the Wimbledon loop to and from St Albans. Also, for the first time, from 27 May, there will be a new Sunday service between Sutton and Blackfriars (for Bankside and South Bank attractions) via Mitcham Junction, twice an hour. Sundays are also good news for East Croydon. First Capital Connect currently runs two trains an hour just one station stop north to and from London Bridge on Sundays. With the new timetable there will be four trains an hour on Sundays as well as Saturdays through London Bridge and right across London all the way to Bedford and back. That's handy for Blackfriars and its new south bank entrance, St Pancras International and Luton Airport Parkway. Southbound there will be two trains an hour to and from Brighton on Sundays (and four an hour on Saturdays). There will be no changes to the timing of trains south of London once FCC begins running again through the heart of the capital at weekends and overnight. However, these trains will leave Bedford at different times (up to half an hour difference) because of the variation in journey times between the current replacement bus service in central London and the train. South West Trains has started work on a £700K project designed to revitalise Andover station. The three month improvement programme funded by the Government’s National Stations Improvement Programme scheme along with South West Trains and Test Valley Borough Council means passengers will soon benefit from a raft of enhancements. Station upgrades include the refurbishment of the waiting room, and a smart new station frontage. Andover station’s forecourt will be reconfigured with more parking and drop-off spaces for cars, motorcycles and taxis. The existing toilets will be refurbished and a set of toilets will added to the Salisbury bound platform, giving a full complement of toilets on both platforms. Jake Kelly, Customer Service Director for the joint Network Rail and South West Trains Alliance said: “Andover station’s forecourt will feel more spacious once the project is complete, enabling passengers to pass through the station more quickly and easily. Over the last few months, as well as adding a secure cycle compound at Andover, we have refurbished the booking hall and lowered the ticket office window for disabled passengers. The new station improvements will build on this, further strengthening our service to long distance commuters using Andover as their interchange. He continued: “During this franchise we will be investing over £50m in our stations as these provide a gateway to our rail services. We appreciate being able to work with Test Valley Borough Council on this project”. Three new lifts and one new stair lift have been installed at Wembley Central station making it the 65th Tube station to become step-free from street to platform level before the Olympic and Paralympic Games. This will give easier access to passengers with luggage and buggies as well as wheelchair users at Wembley Central station, whether they want to get to a London Overground, National Rail or a London Underground Bakerloo line platform. Network Rail installed the new lifts and constructed a new corridor linking the ticket hall with all the platforms, which means that National Rail customers are now under cover on their way to catch a train. Jo Kaye, Network Rail Route Managing Director, said: "The improvements made at Wembley Central will make the station more accessible for everyone and is part of a wider programme to build a bigger, better railway for London. Thousands of spectators travelling to and from Wembley Central will reap the benefits of these improvements during the Games and for years to come." Network Rail is delivering the Access for All programme on behalf of the DfT. Access improvement works at over 90 National Rail stations will be completed by the opening ceremony. They include lifts being installed at Camden Road, Gospel Oak, Hackney Central and which will all have step-free access in time for the London 2012 Games. Alstom has been selected as preferred bidder by Lille Métropole to modernise Line 1 of the city’s metro. With a value of more than €250 million, the project provides for the supply of an integrated system which includes an automatic driver system and 27 rubber-tyred metro trainsets in order to address the expected increase in traffic over the next few years. After the signing of the contract, contemplated in June, it will start mid-2012 for a completion in 2017. The automatic trainsets from Alstom’s Metropolis range will be doubled in length in comparison to the existing fleet and will be able to carry up to 545 people. Their design will offer passengers a more comfortable ride, thanks particularly to the absence of partitions between each car. The interior design will create a warm, bright environment with larger windows. Passenger information will be improved by electronic display units and multimedia screens. Spaces will be dedicated to people with reduced mobility. A system of video cameras transmitting images in real time to the control centre will strengthen the security of passengers on-board the metro and on the station platforms. Urbalis signalling system control equipment will replace the current system. The modernisation of Line 1 will allow transport capacity to be doubled. It will also lead to a reduction in energy consumption of 20%. The new system will be less costly to maintain and more flexible to run. It is scheduled to come into service progressively from 2015 and this will be carried out without disturbing line operation. "After many cities in Asia, South America and Europe, Lille’s choice of Alstom’s automatic metro system is a great source of satisfaction for us. It shows the dynamism and industrial know-how of the French rail sector ", declared Henri Poupart-Lafarge, Alstom Transport President. The Alstom rubber-tyred metros are designed and produced in the company’s site of Valenciennes, in Northern France. Six other Alstom Transport sites in France are also involved in this project: Saint-Ouen, Reichshoffen, Ornans, Le Creusot, Villeurbanne and Tarbes. Plans for a new maintenance centre of excellence in Derby have been submitted by Network Rail. It consists of a two-storey building containing offices and welfare facilities, storage facilities and car and cycle parking spaces. The new building will bring together up to 400 maintenance staff from existing offices and sub-depots across the east midlands. Work on site is hoped to start in autumn of this year and due to be completed next summer. Passengers on the Esk Valley line will be travelling over four new bridges after Network Rail completes major improvement works over the half-term holiday. The work will see engineers working around the clock to replace Danby, Duck, Thorneywaite and Carr End bridges on the line between Middlesbrough and Whitby. Northern Rail trains on the Middlesbrough to Whitby line will be disrupted for nine days from Saturday 2nd June. All other works are being completed while trains are running. Liverpool area local operator Merseytravel has launched a programme to replace its fleet of Class 507 and 508 EMUs. Merseytravel has said it plans to launch a tendering process this summer, with a planned introduction of new trains in 2017. 'Expressions of interest' will now be invited from major vehicle builders around the world, with a shortlist of possible suppliers announced in 2013. Merseytravel gave a 25-year franchise to a partnership of Abellio and Serco in 2003, which trades as MerseyRail Electrics. Northern Rail welcomed Minister for Transport Theresa Villiers MP to Merseyside on 10 May 2012 to officially open Allerton Train Care Depot. Operational since December last year, the depot is home to Northern’s fleet of additional Class 156 trains, introduced to the network as part of the Department for Transport’s rolling stock programme. Northern received 60 additional carriages providing its passengers with much needed additional seats. Rail Minister Theresa Villiers commented: "Allerton Depot is an exceptional example of what can be achieved when rail industry partners work together to realise a common goal. By taking a flexible approach to processes, significant time and money savings were made benefiting passengers and fare payers and the wider local economy as the opening of the depot has created 46 jobs." Delivered in partnership with Network Rail at a cost of £10.6 million, significant time and cost savings were made by partially running the design and construction work in parallel. As a result, the depot was operational within six months, a fantastic achievement, with the once derelict site transformed into a modern train maintenance facility, employing a total of 46 staff. Bombardier Transportation and Carillion have announced the launch of a new UK joint venture, named Infrasig. The new venture is already making a significant contribution to the upgrade in UK infrastructure, having recently been appointed as one of the suppliers awarded a framework agreement by Network Rail for its rail signalling upgrade programme. This will see the implementation of the latest European Train Control System (ETCS) technology. Infrasig combines the extensive global skills and knowledge of Bombardier Transportation, to provide first-class technology for both conventional and ETCS signalling solutions, with the UK rail experience of Carillion to deliver signalling and multi-disciplinary projects to key customers. This partnership brings the latest rail control technology to the UK market, providing passengers with more efficient and effective service. In addition, this initiative will train UK-based engineers in the use of the world’s leading signalling systems. The technical basis used for Infrasig’s work on the development phase of the ETCS roll out will be the globally proven Bombardier Interflo 450 ERTMS Level 2 solution. Operating worldwide from the highest speed lines in China to the busiest lines in Europe, the radio-based solution supports very high levels of operational safety. The technology further removes the need for the installation and maintenance of wayside equipment, particularly light signals and their support systems, and similarly reduces cabling supply and civil works. Signals displayed in the cab present the opportunity for higher line speeds and increased capacity. Nottingham station’s contemporary new multi-storey car park was officially opened on 14 May 2012 by representatives from East Midlands Trains, Network Rail and Nottingham City Council. * Restoring Grade 2* listed buildings and creating an attractive vehicle-free Porte Cochere at the station. * Improved passenger and operator facilities, including upgraded travel information, displays, new toilets, ticket office, shops, cafes and waiting areas. * A new concourse connecting trains, trams and the car park. * Creating new retail space within the station. * Improved public realm around the station. * New and improved facilities for disabled people, cyclists and taxis. Bombardier Transportation has announced that it has won an order from Bure for seven Bombardier TRAXX F140 AC locomotives. The locomotives are designed for freight transport in Sweden and Norway, with delivery expected in the fourth quarter of 2012. The contract is valued at approximately 24 million euro. Bombardier's TRAXX F140 AC locomotives represent the state-of-the-art in electric rail freight transportation in the Nordic region. They are part of a family of locomotives comprising single- and multi-system electric and diesel vehicles. A common feature of all TRAXX locomotives is their modular construction. Bure has purchased these locomotives to lease them to train operator RushRail AB. In April, RushRail won a multi-year transportation contract for Tratag AB. Tratag is a logistics company, owned by Stora Enso and Korsnas. Its purpose is to handle rail transportation of forest products, timber, pulpwood and biofuel. RushRail will, in an efficient and environmentally friendly manner, transport timber and other forest products by rail from Stora Enso and Korsnas's timber terminals to their production sites around central Sweden. The contract is one of the largest of its kind in Sweden. Peter Ammann, Vice President Sales & Marketing of Bombardier Transportation's Locomotives Unit, said: "We are proud that Bure as a new customer and RushRail as the operator have chosen our TRAXX locomotives to serve this significant rail transport undertaking". Rush Rail's selection of the TRAXX locomotive for their operation enhances Bombardier Transportation's position as the prime supplier of locomotives for the highly competitive and entirely deregulated Swedish commercial market of freight operation, where reliability and efficiency are paramount," said Klas Wahlberg, Chief Country Representative, Bombardier Transportation Sweden. "At Bure, we are pleased to be able to offer highly competitive freight transportation services with TRAXX locomotives together with RushRail. We look forward to working together with RushRail and Bombardier on this long-term investment," said Henrik Blomquist, Vice President of Bure. We at RushRail are excited to have gained the trust of Tratag and Bure and we believe that this - together with the TRAXX locomotives - can be a solid basis for our future expansion," said Jan Lindqvist, CEO and co-founder of RushRail. Production of the locomotives will take place at Bombardier's Kassel plant in Germany. The carbodies will be produced at Bombardier's Wroclaw, Poland site, bogies at its Siegen, Germany site, while the Propulsion and Controls equipment will be manufactured at its Mannheim and Hennigsdorf sites, also in Germany. The locomotives will be powered by the renowned Bombardier MITRAC traction converters offering unmatched reliability. The related control system is the sophisticated MITRAC offering safe and energy efficient traction power for sustainable mobility. MITRAC equipment has been selected for well over 3,000 locomotives all around the world. Greater Anglia has commenced an improvement programme for some of its Class 321 electric trains that operate services on the London Liverpool Street to Braintree, Clacton-on-Sea/Walton-on-the-Naze, Chelmsford/Colchester, Harwich and Southend Victoria lines. The improvement work is being undertaken ‘in-house’ by Greater Anglia fleet technicians at the train operator’s maintenance depot based at Clacton-on-Sea, and involves a programme to improve 17 four-carriage Class 321 trains involving a total of 68 carriages. The trains are receiving new floor coverings, replacement carpets and new seat covers with a smart new design. Other interior equipment in the trains is being renewed and any damaged seat shells repaired. Body side panels and seat trims are being renewed and repaired, and the lighting upgraded. A heavy clean of the train is also included as part of the wider programme that Greater Anglia has commenced to ‘deep-clean’ all its trains in advance of this Summer’s Olympics. The driver accommodation is also being renewed as part of the upgrade, and CCTV equipment fitted. 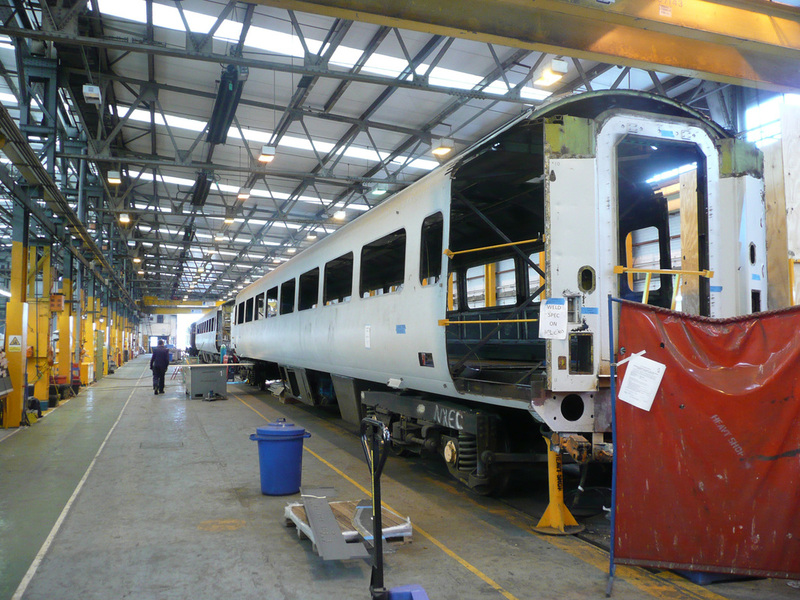 The work on these 17 Class 321 trains is scheduled for completion by the end of 2012. Punctuality on the railways reached 93.3% during period 1, according to monthly performance data released today by Network Rail. 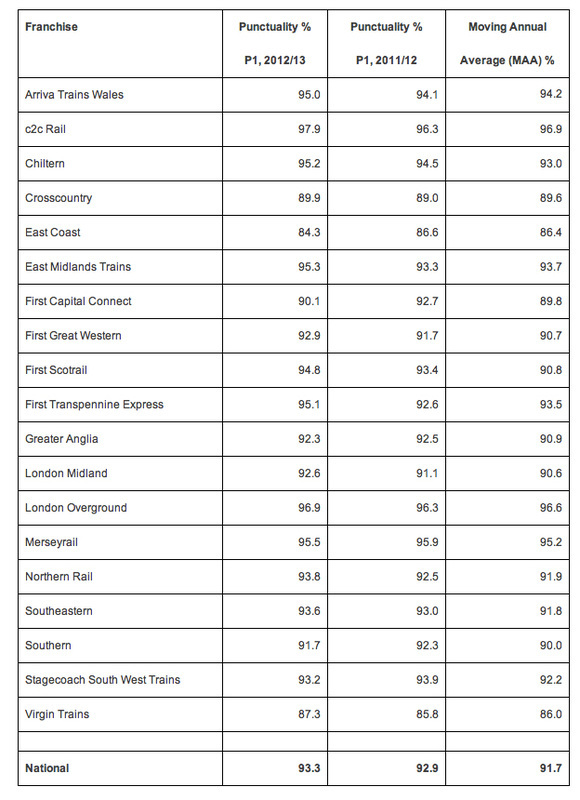 The data for Britain's train services covers the period from 1 April 2012 - 28 April 2012. This compares to 92.9% for the same period last year. The moving annual average is now at 91.7%. First ScotRail has unveiled spectacular new postcards that will be offered to customers as free souvenirs of the West Highland Lines. Award-winning photographer Norman McNab has provided four stunning images for the postcards, which ScotRail’s catering staff will hand out to customers on trains. It is the third edition of the complimentary postcards – which were first introduced in 2009 thanks to funding from ScotRail, HITRANS and the Friends of the West Highland Lines. This year’s images show a Mallaig-Glasgow train near Upper Tyndrum, a Glasgow-Oban train in mountains near Crianlarich, the Caledonian Sleeper crossing a snowy Rannoch Moor and a Mallaig-Glasgow train on Glenfinnan Viaduct, made famous by the Harry Potter films. Readers of independent travel magazine Wanderlust has voted the West Highland Lines as the world’s top rail journey for three years in a row. The Lines offer the chance to see Britain’s biggest mountain, most westerly station and highest mainline station, as well as Scotland’s largest, longest and deepest lochs. First Capital Connect has recently completed a reliability improvement programme on part of its Thameslink rolling stock, which will boost performance and reduce service failures. The £3.1m programme, which commenced in late 2009, delivered modifications to all 86 of FCC’s 23-year-old Class 319 units. The improvements not only addressed component failures but also evaluated maintenance practices, fault finding techniques, and operations training. The analysis of the upgrades has confirmed that performance on the class 319s could reach a reliability rate of 23,000 miles between failures compared to the past average of 13,000. ScotRail is celebrating the start of summer by bringing back its most popular ticket offer – Club 55. The offer will return from 14 May, with prices held for the third time in a row. Customers aged 55 and over can travel anywhere in Scotland – plus Berwick-upon-Tweed and Carlisle – for £19 return. For an extra treat, customers can upgrade to First Class for just £26 return on selected routes with Club 55 Premier. The train operator has continued its partnership with Hotel Connexions to give Club 55 customers the chance to create the perfect pre-summer break with up to 60% off selected hotels. Club 55 customers can start their journeys early, provided they do not arrive into Edinburgh, Glasgow, Aberdeen or Dundee before 09.30 on weekdays. This gives them plenty of time to enjoy a host of spectacular, scenic journeys. Some evening conditions also apply. The offer runs until 30 June 2012 for outward travel – with return travel valid for one month from the date of the outward journey. Northern Rail has welcomed news that the Department for Transport (DfT) has granted a continuation of its Northern Franchise. This means Northern will continue to operate local and regional rail services across the north of England until 1 April 2014. Ian Bevan, Managing Director, Northern Rail said: “We are delighted that the Department for Transport has chosen to confirm this continuation. Since we began operating in 2004 we have worked hard to improve the service we offer our customers. Confirming the continuation now means we can continue this work, focusing on the areas we know matter to our customers. - against a specification of a ‘no growth, no investment’ franchise, Northern’s stakeholders and shareholders, Serco and Abellio, have invested over £130million to make things better. This includes, additional carriages, new stations, improvements to existing station facilities and employee accommodation. Over the coming months Northern will be improving the cleanliness of trains by upgrading the washing plants at depots. This will support significant changes to the cleaning regime on its trains. Northern’s franchise was originally due to end on 15 September 2013, after it had already secured a two-year extension in 2010 for improving the punctuality and reliability of its services. The Franchise Agreement contained a clause for the DfT to grant a franchise continuation of up to seven reporting periods, which it has chosen to do. The rededication of Class 50 No. 50017 Royal Oak took place on 5 May 2012 on the Plym Valley, Plymouth. The Royal Oak Association were invited, and one of the last survivors from when the ship was torpedoed in 1939 carried out the unveiling. Kenneth Toop was a teenager the night the ship was sunk by U-boat U-47 in Scapa Flow, when he spoke of the 834 sailors who went down with his ship on 14 October 1939 you could see the remembrance in his eyes and the pause when he talked about his fellow sailors, before he revealed the cast nameplate and Royal Oak crest. After the event, the '50' worked a few return services over the line for the association and guests. The operational Plym Valley line at the moment extends to the former Lee Moor crossing (just under a mile), which is now where the foot and cycle path passes over, but the line owners hope to get the track open to Plym Bridge in the near future. South West Trains passengers are set to benefit from a further boost to their service as part of an investment announced on 8 May 2012 by the train operator and the Department for Transport (DfT). Passengers will see more seats provided on a number of morning and evening peak services to and from London Waterloo through the introduction of 48 extra carriages creating an additional 2,400 extra seats every day. The extra carriages will mean that SWT has the ability to increase train lengths. * Two longer trains on Windsor line services from London Waterloo to Aldershot (via Richmond) and to Teddington (via Richmond). Some of these improvements will be possible by a cascade of DMU stock from the Lymington route. Tim Shoveller, Managing Director for South West Trains, said: "Our network is one of the busiest in Europe and we carry around 300,000 passengers to and from London Waterloo, the UK's busiest railway station, every day. The number of passengers we are attracting to our rail services has doubled in the past 15 years. Both South West Trains and the Department for Transport recognise our shared responsibility to tackle overcrowding and look at ways of providing extra capacity and more seats for the 200 million customers who travel on our network every year. We have already confirmed the introduction of 60 additional carriages, which will be introduced from May next year, and today's announcement that we have successfully secured a further 48 carriages will provide another huge boost to South West Trains' passengers." This is the second phase of a capacity enhancement programme that will see the introduction of a total of 108 additional carriages on the network between May 2013 and December 2014. Phase 1, which was announced in December 2011, will deliver an additional 60 carriages through the refurbishment of former Gatwick Express Class 460 Juniper vehicles, combined with refurbished trains from South West Trains fleet. The announcement of enhanced services in phase 2 will be delivered through the cascade of 24 Class 456 trains (48 vehicles) from Southern Railways. These trains are compatible with the Class 455 trains within the existing South West Trains fleet and will be refurbished to the same high quality specification. Last year, the Department for Transport announced plans as part of Phase 1 of the capacity enhancements to bring Platform 20 at the former Waterloo International Terminal back into use from December 2013. South West Trains is working with the DfT and other parties to re-open the platform earlier than previously planned. Proposals are also being developed by the DfT, Network Rail and South West Trains to provide a long-term solution to congestion at London Waterloo. South West Trains – part of Stagecoach Group - is currently investing over £100m in a range of improvements for passengers including better station facilities, additional car parking spaces, fleet refurbishment and provision of better customer information. Passengers are also set to benefit from the recently launched South West Trains/Network Rail deep alliance, which aims to reduce delays, deliver more effective management of disruption and improve the efficiency of the railway through more collaborative working and better decision-making. ScotRail has revealed it has beaten passenger records for the eighth year in a row. Latest figures show that it carried 81.1million customers in the year ending 31 March 2012 – up 3.6% on last year’s record-breaking 78.3million. ScotRail outperformed the average for all UK train operators in 30 out of 33 categories in both National Passenger Surveys published during 2011/12. Train operator Greater Anglia has welcomed Corinne Sermons as the station adopter at Marks Tey. Corinne has already planted up some tubs at the station with colourful seasonal plants and she has also begun planting a new wildlife friendly flower bed with perennial favourites such as foxgloves, ragged robin, michaelmas daisies and bluebells, plus shrubs such as hazel and cotoneaster, aiming to provide as much all year round interest as possible too. Corinne is also a dab hand at plant propagation, with some of the plants having been split and transplanted from the garden at Chappel station. With Corinne set to start work on more flower beds at the station soon, commuters at this busy Essex station will soon be greeted by an array of horticultural delights. Loughborough station’s £8 million improvement scheme was officially unveiled on 4 May 2012, with local MP Nicky Morgan joining forces with Charnwood Borough Council, East Midlands Trains and Network Rail to celebrate the official completion of the scheme. Nicky Morgan, MP for Loughborough, said: “As a frequent user of the Loughborough station, I think all the improvements are terrific. It is particularly good news that we can now get on and off along the whole length of the trains. The planters and new car park layout really add brilliant aesthetics and appeal to the appearance of the station, and I am especially impressed by the changes focussed on improving the ease of access for disabled passengers. The completion of the improvements come at a perfect time, with Loughborough at the heart of the Olympics, hosting Team GB and Team Japan for the duration of the event”. Chelsea Pensioners David Donaghey and Marjorie Cole named c2c Class 357 Electrostar No. 357006 Diamond Jubilee 1952-2012 at London Fenchurch Street station on 4 May 2012 as part of c2c’s contributions to the celebrations to mark the Queen’s Diamond Jubilee. Diamond Jubilee is one of five c2c Electrostars that are being wrapped in special vinyls to mark the Jubilee, with the Union Jack on one carriage and the official Diamond Jubilee emblem on the train doors. Passengers will be able to ride on the Jubilee trains from today across the c2c route – from London Fenchurch Street, West Ham and Barking to Basildon, Benfleet, Grays and Southend. The sets are Nos. 357005, 006, 225, 227 and one set to be announced. c2c will also be providing a complimentary trip to David, Marjorie, and 20 of their colleagues to the seaside later in the summer. First Great Western rolled out its tribute to the Queens Diamond Jubilee events on 3 May 2012, when power car No. 43186 was released from Laira depot painted in all-over FGW blue off-set by bodyside decals, including the official Diamond Jubilee logo and the wording '60 Glorious Years' and '1952-2012 Celebrating an Amazing Journey'. A vital rail viaduct to the north east of Blackburn is being given a facelift by Network Rail to keep it in good order for the next 20 years. Originally built in 1850, Cobwall viaduct carries the Blackburn to Clitheroe railway over two roads and a river in the Daisyfield area of the city. It is of national importance as it provides a link to the Settle to Carlisle railway line, is used as a diversionary route if the west coast main line is closed and it sees both freight and charter trains in addition to the regular passenger services. The work will be carried out over the next six weeks and Beechwood Road will be closed for 24 hrs from midday Saturday each weekend. Pedestrian access will be maintained at all times but there are two diversionary routes for road users. Local traffic will be diverted via Goldhey Street, Pelham Street, Florence Street and Whalley Old Road, and vice versa. The diversion route for HGV traffic will be via Harwood Street, Philips Road, Blakewater Road, Greenbank Road, Gorse Street, Stanley Street, Appleby Street, Eden Street, Eanam, Barbara Castle Way, Larkhill and Whalley Old Road, and vice versa. Both routes will be fully signed. The eight-span viaduct has brick masonry arches with stone piers and is topped with safety railings for the protection of rail workers walking along the track above. It has previously been strengthened with tie bars topped off with pattress plates, the large metal squares that appear to be bolted to the surface of the viaduct. A number of the tie bars will be tightened as part of the project, which will include stitching, grouting, pointing and replacing the brickwork as necessary, removing any vegetation on the viaduct and painting the plates and handrails. Action for Children, a charity which provides help and support to more than 50,000 children and families across the United Kingdom, has been announced as Network Rail’s new chosen charity. It was the clear winner after employees voted for the organisation they would most like to raise money for and support over the next two years. Action for Children was founded in 1869 as a home for abandoned children found sleeping under Waterloo Bridge in London. Since then it has become one of the UK’s leading children’s charities working with the most vulnerable and neglected children and young people across the country who face severe difficulties in their lives. The charity also campaigns and lobbies the government to ensure children’s issues are a priority for policy makers. The announcement follows the recent completion of a successful partnership with Cancer Research UK which saw Network Rail provide donations and support worth £2million over two years. The Office of Rail Regulation has announced that a former South West Trains driver has been fined £400 and ordered to pay costs of £500 after pleading guilty at Lavender Hill Magistrates’ Court to serious failings after overrunning a London train station platform. At 17.40 on 13 February 2011, Frank Smith was driving the South West Trains service from Twickenham to London Waterloo when he overran the platform at St Margaret’s station, where it was due to stop. After using the emergency brake, the train came to rest past a signal at the end of the platform. An Office of Rail Regulation (ORR) investigation found that after overrunning St Margaret’s station, Mr Smith failed to follow safety procedures as he neglected to inform the signaller of the train’s overrun; reversed the train back on the platform without authorisation and without driving from the leading cab in the direction of travel and, after allowing passengers off the train, passed a ‘stop’ red light signal without authority. A safety system stopped the train, but Mr Smith reset this essential safety device without contacting the signaller for the necessary authority to do so and continued towards his destination. In slightly different circumstances these failures by Mr Smith could have resulted in a collision or derailment. GB Railfreight has operated the first test train on a new freight line to be used by Crossrail to transfer millions of tonnes of excavated material from London to Northfleet, Kent. Lafarge have reinstated a disused rail freight link from the North Kent Main Line into their Northfleet site. The length of the new freight line is around 2.25km with 4.75km of new track provided. Trains will be operated by GB Railfreight, with the first freight train carrying excavated material due to operate in summer 2012. Excavated material generated from tunnelling operations for the western tunnels (Royal Oak to Farringdon) will exit at the Royal Oak Portal and be transported by freight train to Northfleet. From Northfleet, the material will be transferred by ship to regeneration sites, including a new RSPB nature reserve at Wallasea Island, Essex. Up to five trains will operate daily from Westbourne Park on Mondays to Saturdays with up to four trains on Sundays. David Simms, Lafarge Cement's Land and Planning Director said: "Northfleet, until recently the location of the UK's largest cement works, is a site with a long history of rail use and is key to the sustainable onward distribution of essential construction materials for the built environment. Our involvement with the Crossrail project marks the latest stage in our vision for the 104 acre Northfleet site and delivers on our commitment to sustainable regeneration." Tunnelling for Crossrail will produce in the region of 6 million tonnes of material which will be excavated from constructing the 21km of twin-bore tunnel. Close to 100% of the excavated material is expected to be clean, uncontaminated and reusable elsewhere. ScotRail’s Sunday train services for day trippers to Oban will return this summer following their success over the last two years. And the price of the return trip between Edinburgh and Oban is frozen at last year’s rate - £36 for adults. The services, first launched in 2010, will run on ten Sundays from 24 June to 26 August inclusive, and are timed to give passengers five hours in the West Highland town. Transport Minister Keith Brown said: “Passengers and tourists will be delighted to benefit from ScotRail’s additional Edinburgh-Oban service.This service makes it easier for people to enjoy Scotland’s wonderful sights and scenery during the summer, whether they are visitors from overseas or staycationers exploring more of our country. I am extremely pleased at ScotRail’s decision to continue this summer service which supports tourism, the local economy and encourages people to take their holidays by train." Tickets can be purchased 12 weeks in advance. In an additional step to enhance services for tourists, ScotRail has revamped its website to make it quicker and easier to access Freedom of Scotland Travelpass and Highland Rover tickets – covering travel on trains, ferries and a selection of bus and coach services, all in one price. The ‘at-a-glance’ information includes travel maps, suggested itineraries and tips about top attractions to help customers make the most of their visits. Gatwick Express, the non-stop rail-air link between central London and Gatwick Airport, has introduced new barcode ticket scanners on the gates at London Victoria and Gatwick Airport stations for people who print their e-tickets or have their tickets sent to their UK mobile when booking online at www.gatwickexpress.com . The new scanners allow customers to scan their printed ticket at the gates, so they can walk straight on or off the platform to the train without having to queue. This installation is the latest phase of the process which is enhancing the web to train experience for Gatwick Express customers. The news comes shortly after East Coast took part in the international children’s charity’s ‘Go M.A.D.’ (Make a Difference) fundraising day on 9 March 2012, when directors and senior managers worked on-board trains to raise £13,320.22.